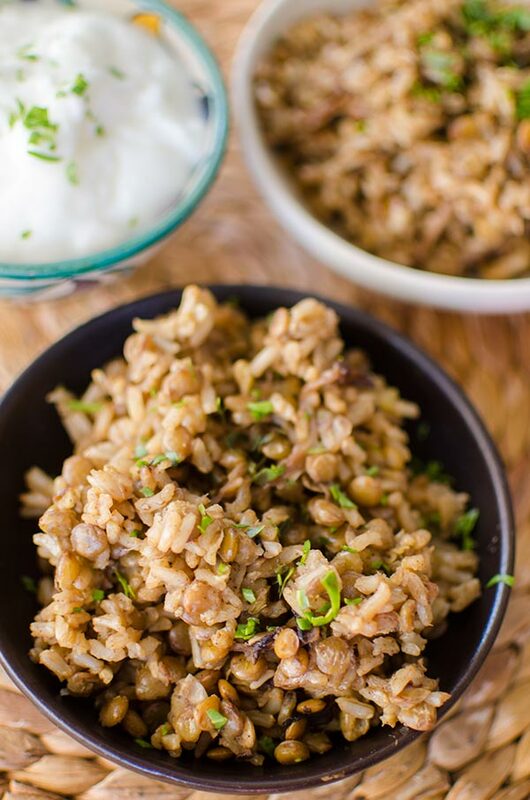 A take on the popular Middle Eastern dish mujaddara, this recipe is made with brown rice, lentils and onions and served with yogurt. 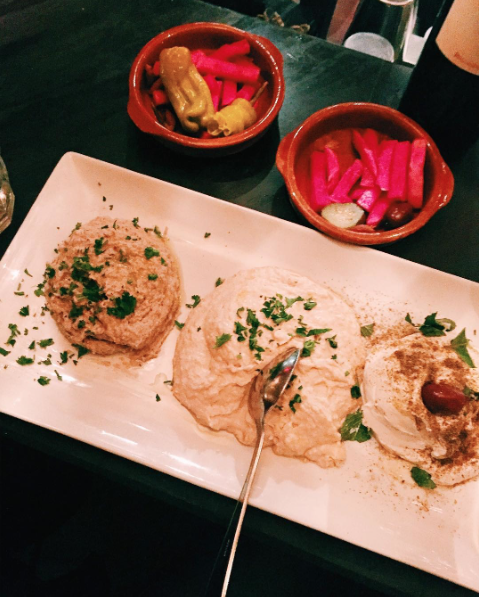 There is a restaurant in Toronto called Tabülè, it’s a Middle Eastern restaurant and it quickly became my go-to spot for meeting friends after work for a quick bite, or grabbing dinner with friends who are visiting from out of town. There are a few reasons; not only is the food delicious, but if you have anyone in your life who is gluten free/vegetarian/vegan, they will most likely be able to find something to eat here. I’ve spent countless hours laughing and gossiping around the tables or seated at the bar on extra busy nights. Always with a glass of wine in hand, because nothing makes me happier than food, wine and my favourite people. You know those dinners that go on for hours but feel like 20 minutes? Those. They make a few incredible dishes, but the one that I always order is the mujaddara. It’s a dish of lentils, rice and fried onions, a staple dish in Middle Eastern cuisine. And when I say a staple, when I was reading about the history of this dish I learned that the first mujaddara recipe was printed in 1226. Talk about a recipe seeped with history. From my research I found that there mujaddara recipes vary by region. They can be made with bulgur or basmati rice, but it is always a grain with lentils and onions. 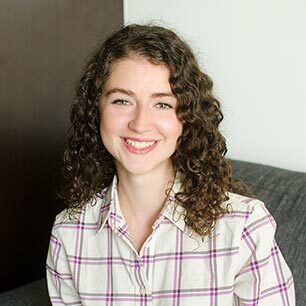 Traditionally, it’s not made with brown rice, but I opted to use brown rice in this recipe because it’s what I always have in my pantry and it’s the variety of rice that I enjoy eating. Scented with cumin and cinnamon, the ingredients are simple but pack a punch of flavour. It starts by sauteeing onions, until they are a light golden colour and really begin softening. Then the garlic and spices are added and the complexity of flavour begins to build. It’s a dish that doesn’t require anything fancy, but these basic ingredients elevate brown rice and lentils into something special. One you add the brown rice and lentils, this dish is cooked the same way you would cook brown rice, in simmering broth or water for about 45 minutes. This has quickly become one of my favourite dishes, and also something I’ll eat on its own with yogurt or labneh. Add brown rice and lentils, cook for 2 minutes, stirring frequently. Add salt and 3 1/4 cups water. Bring to a boil, cover and reduce heat to a simmer and cook for 40-45 minutes. 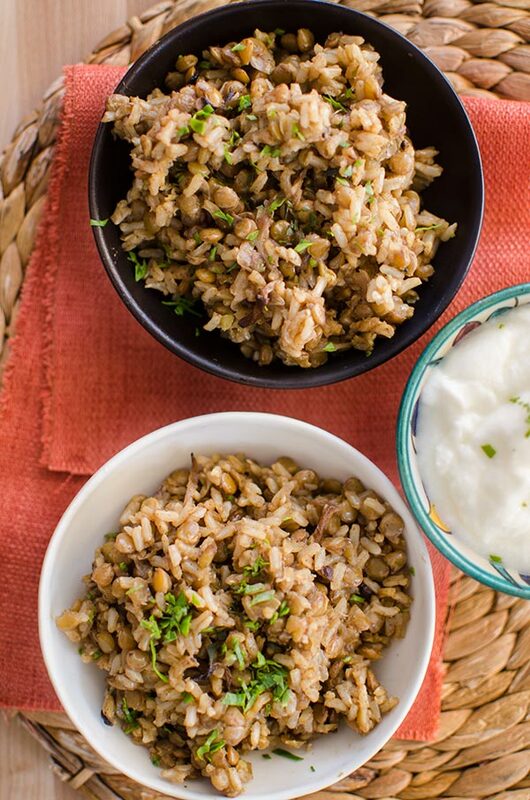 Let me know if you give this brown rice mujadarra a try let me know in the comments below. I've cooked this several times, Yummers! Normally when I cook rice its always sticky but this turns out perfect.